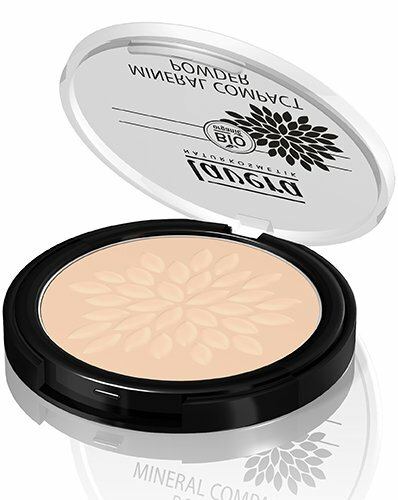 An organic mineral compact powder. Designed for fixing concealer and foundation. Contains high-quality minerals that reflect the light to reduce the look of fine lines. Blended with organic rice extracts to nurture skin. Provides transparent, light to heavy coverage . Gives a fresh and flawless finish. Perfect for all skin types. Dermatologically and ophthalmologic ally tested, suitable for contact lens wearers.